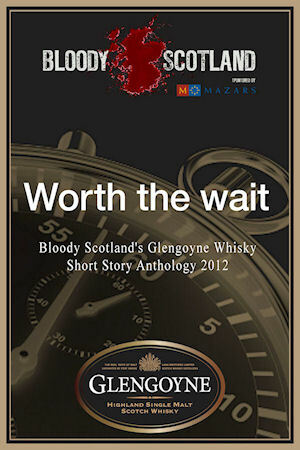 I’m extremely proud to have a short story in an e-collection of crime tales called Worth the Wait. The story, Blessed are the Cheesemakers was a shortlisted entry in a competition for Bloody Scotland, Scotland’s first International Crime Writing Festival to be held in Stirling on the weekend of the 14th September. Blessed are the Cheesemakers is set in the Farmers’ Market held every Saturday morning in the shadow of Edinburgh Castle. The porridge and the buffalo burgers are wonderful, as is everything else on sale under the blue and white canopies down there. You can download the book by clicking on this massive picture here over here on the left. Bonus points to the first person who recognises from where I filched the title.